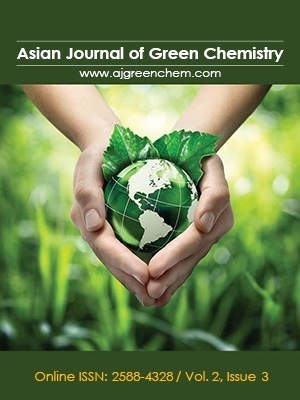 In this study, hybrid synthesized compounds were produced by the interaction between Sodium Montmorillonite clay (Na+-MMT) inorganic substance and of 2-mercaptobenzimidazole (MBI) organic substance. In this regard, 2-mercaptobenzimidazole was dissolved in ethanol solvent. 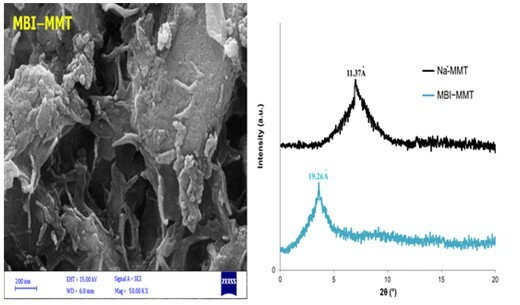 The addition of clay, timing and also mixing process accelerated the penetration of MBI organic substance into the interlayers spacing of Na+-MMT and a chemical reaction occurred between the functional groups of these two substances. Small-angle X-ray scattering test (SAXS), fourier transform infrared spectroscopy (FTIR) and scanning electron microscope (SEM) were used for validation of the interaction between the substances and determining the new structure. The antimicrobial properties of the hybrid synthesized compound against two types of bacteria, two types of fungus and one type of yeast were examined using well diffusion agar method and minimum inhibitory concentration (MIC). The diameter of inhibition zone was measured and their antimicrobial potential was compared with two common antibiotics: gentamicin and rifampin.